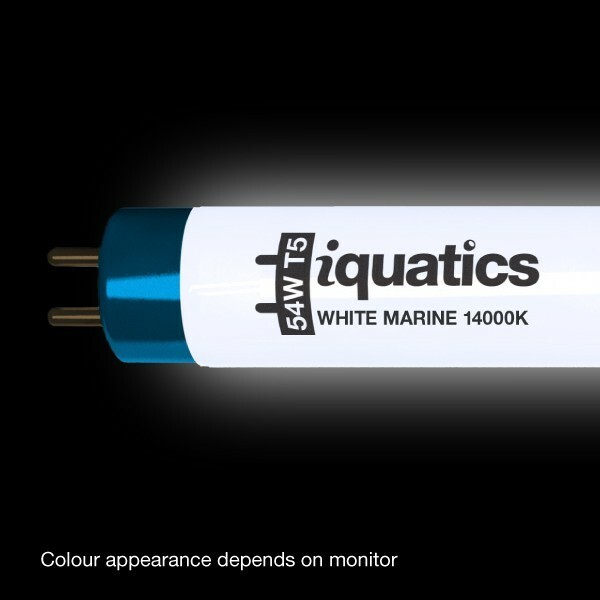 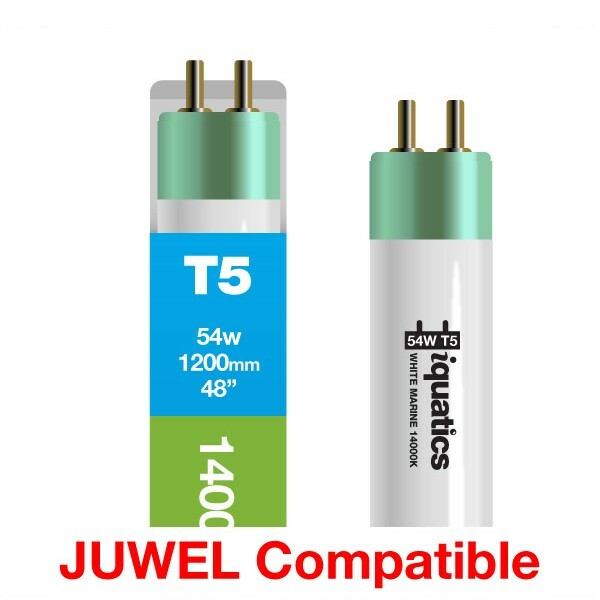 54W – 1200mm/48”(l) – 5/8”- 16 mm (w) Our 14000K high lumen output T5 replicates shallow corals light intensity. 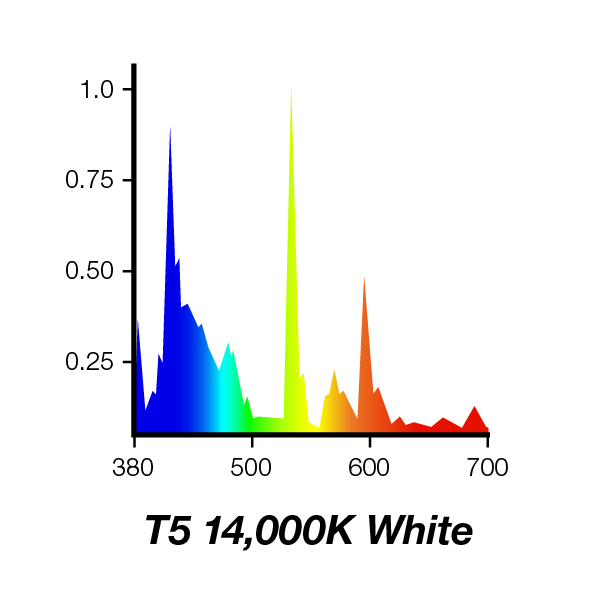 Light wavelengths within the range of photosynthesis for ideal coral growth. I've had issues getting bulbs delivered they always arrived broken but I ordered 3 bulbs from iquatics and all 3 were completely fine.